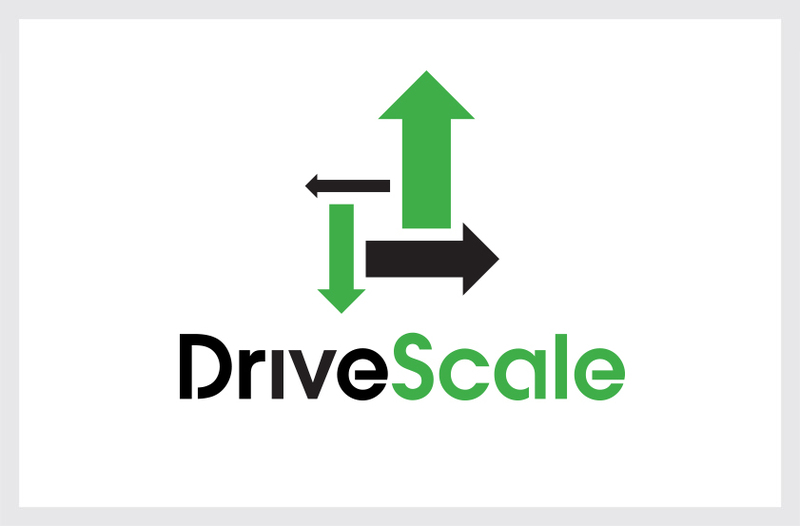 DriveScale is an innovative Silicon Valley startup whose software enables large data centers to optimize scale-out architecture using standard servers and commodity storage. Our solution uses arrows in progressively larger sizes to symbolize driving growth and accelerating expansion. The arrows’ outward direction functions as a metaphor for the company’s unique scale-out platform, while the largest arrow’s upward trajectory conveys the software’s optimal application efficiency. The dynamic multi-directional form conveys the product’s flexibility, agility, and ability to adapt to changing conditions, while creating an abstract letter “d” for DriveScale.